State Farm took in $42.7 billion in auto insurance premiums but paid out just $31.2 billion on auto claims last year — a $11.5 billion spread, the nation’s No. 1 insurer reported last month. After factoring in the rest of its expenses, such as overhead and ads, the carrier came out $1.1 billion ahead on premiums in 2018 — compared to losing $2.2 billion in 2017. That underwriting gain is even more impressive given rate cuts for policyholders in much of the country last year. “As the number one Auto and Homeowners insurer in the U.S., State Farm remains committed to serving its policyholders,” the insurer wrote in a news release. The company reported its entire property and casualty portfolio posted a $1.7 billion gain in 2018 compared to a $6.5 billion loss in 2017. “The underwriting gain in 2018 was driven by lower losses, which included a decrease in catastrophe losses compared to 2017,” State Farm wrote. Its net worth rose from $97 billion to $100.9 billion. Altogether, the carrier reported collecting $4.7 billion in investment and other income last year, down $100 million from 2017. State Farm is coming off of some tough auto years — though it’s worth noting that it still made more in premiums then it paid out to policyholders filing claims and loss adjustment expenses. For example, State Farm earned $41.6 billion in auto insurance premiums and paid out $34.2 billion in claims in 2017 versus $38.8 billion in premiums and $35.8 billion in claims in 2016. But once other expenses were factored in, the entire State Farm auto business lost $2.8 billion in 2017 and $7 billion in 2016. So next time a State Farm adjuster is giving your shop or customer grief over a line item or labor rate, remind the carrier that the carrier is doing just fine and has plenty of money to go around. 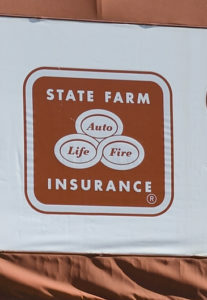 State Farm is doing so well on auto it doesn’t even need investment income or revenue from other insurance lines to get into the black — and it appears to be doling out another round of rate cuts. For example, three days after the March 1 news release, the carrier said it’d cut the overall Arkansas auto rate 4.2 percent — one of two dozen states so far this year announced to get a premium break.